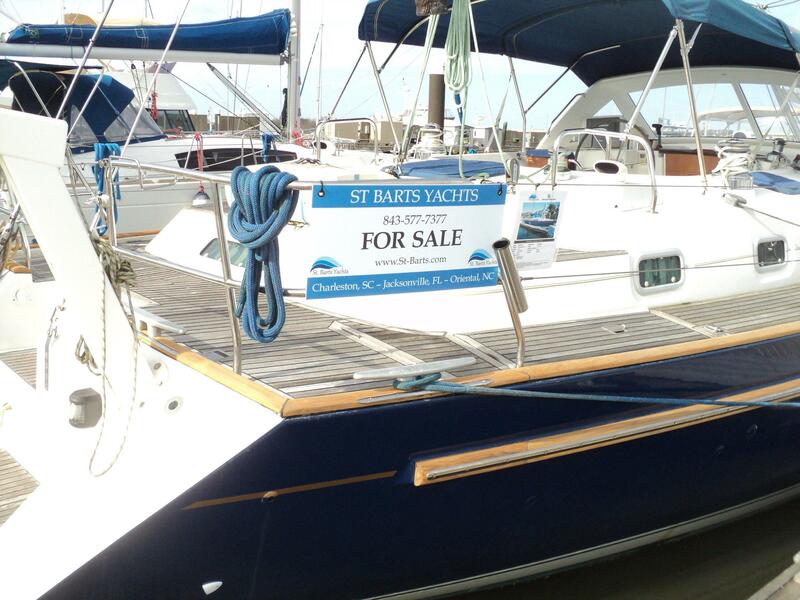 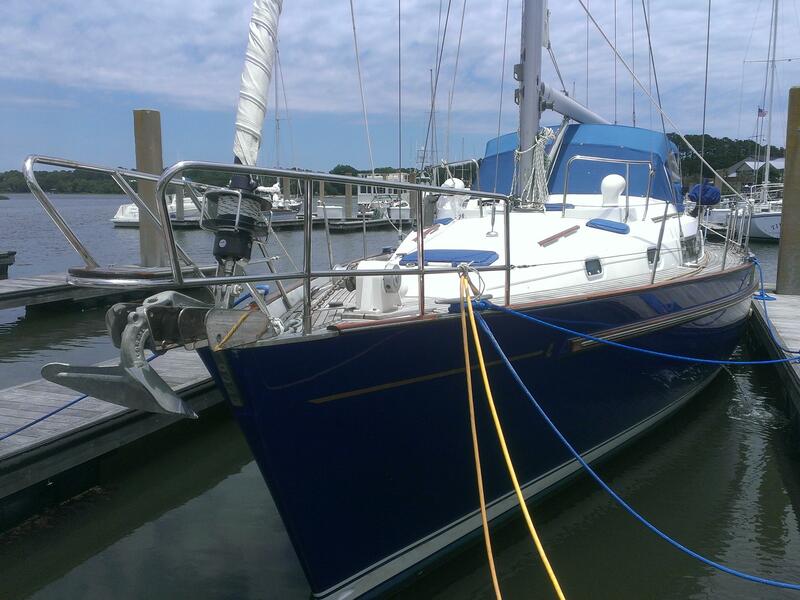 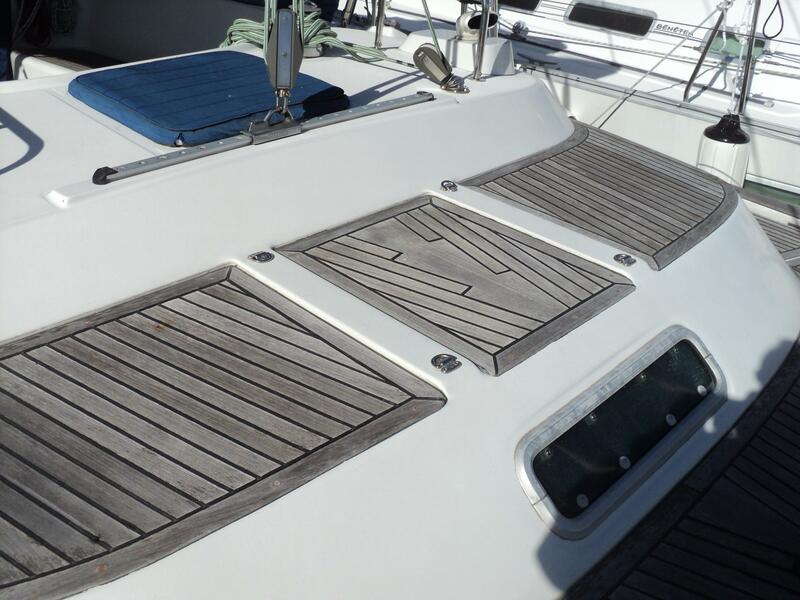 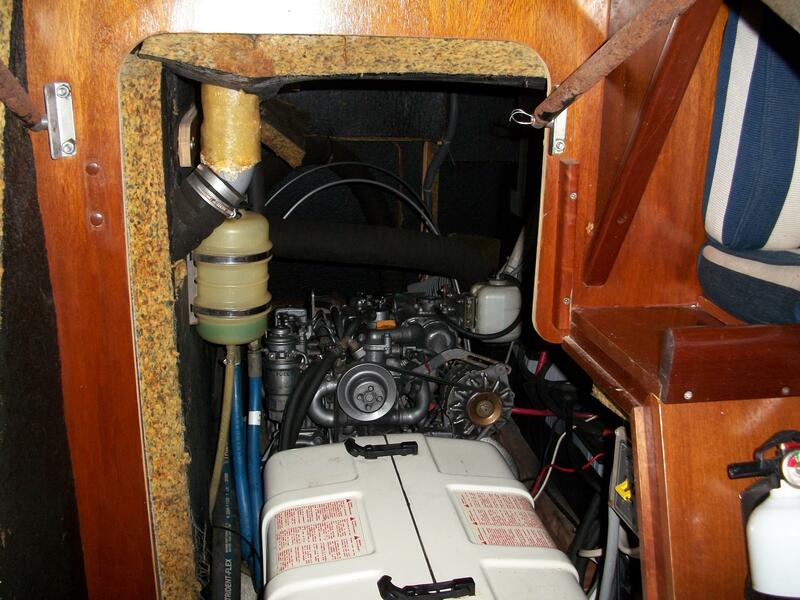 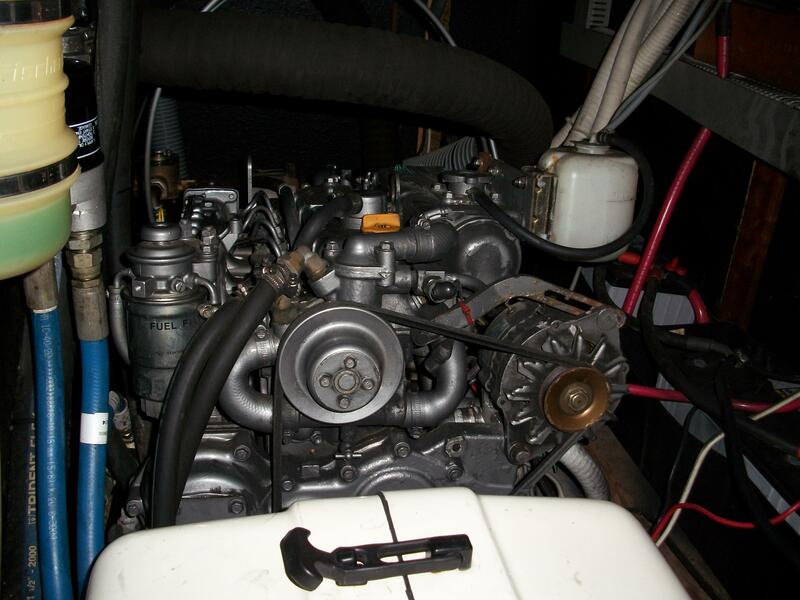 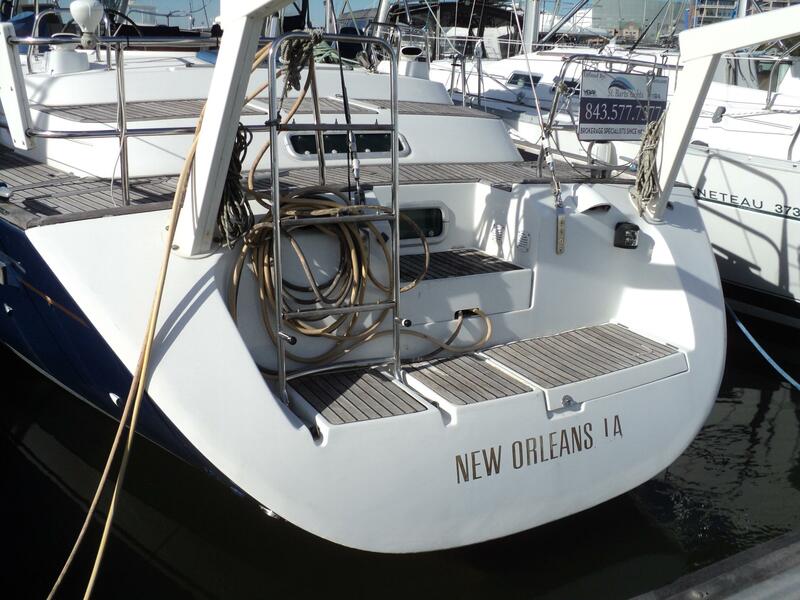 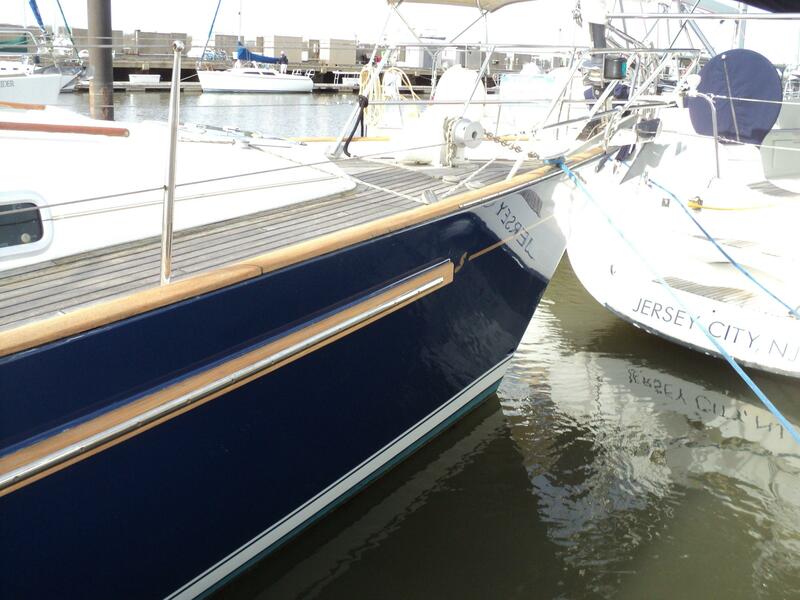 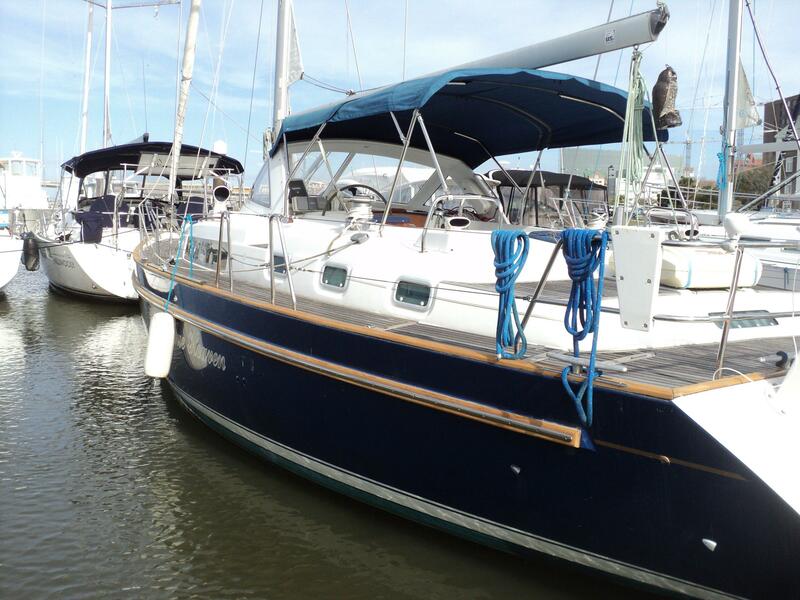 Two cabin never chartered blue hull and teak decks, this rare find has only 500 hours on her Yanmar diesel. 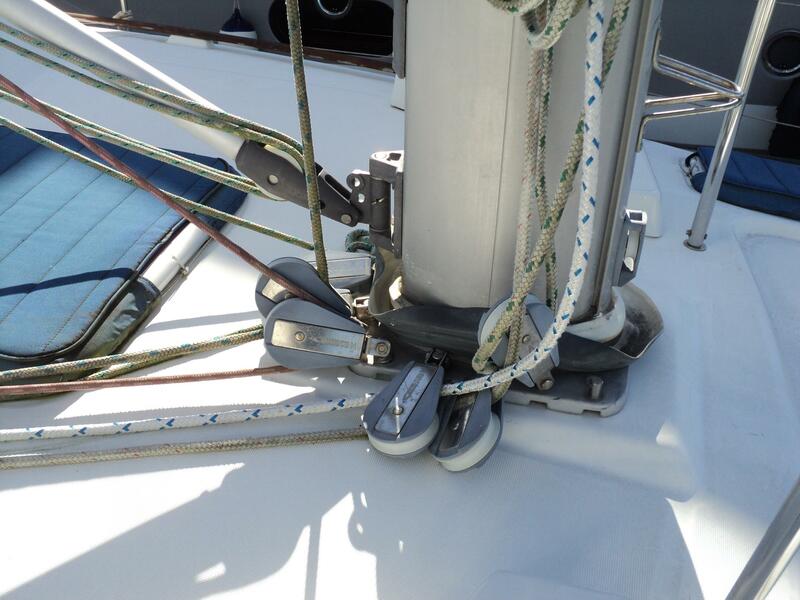 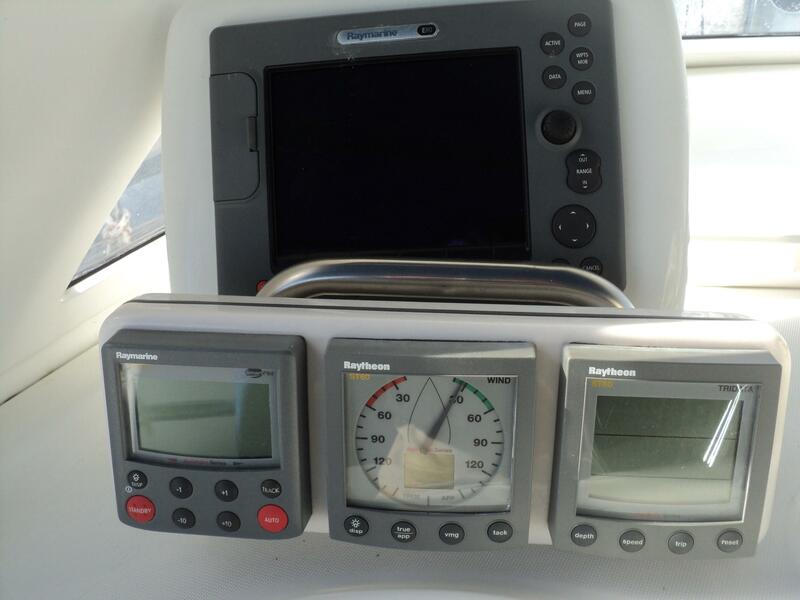 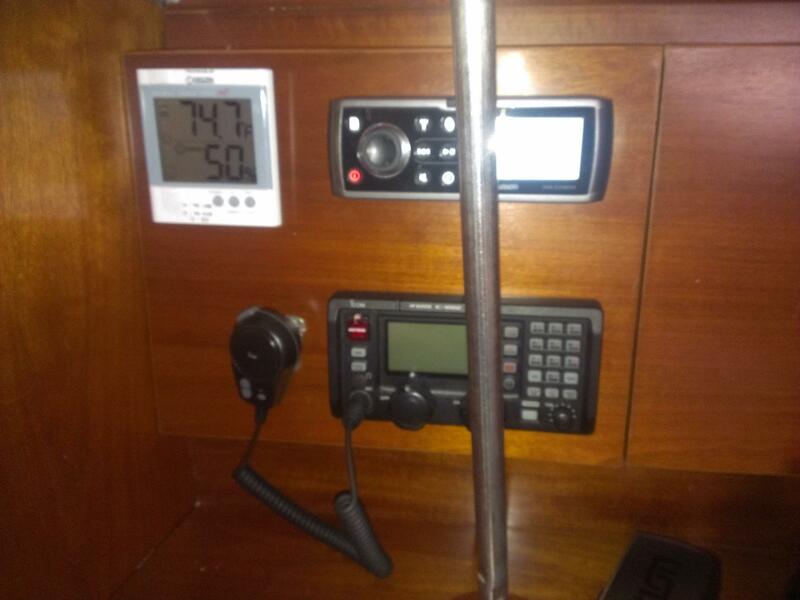 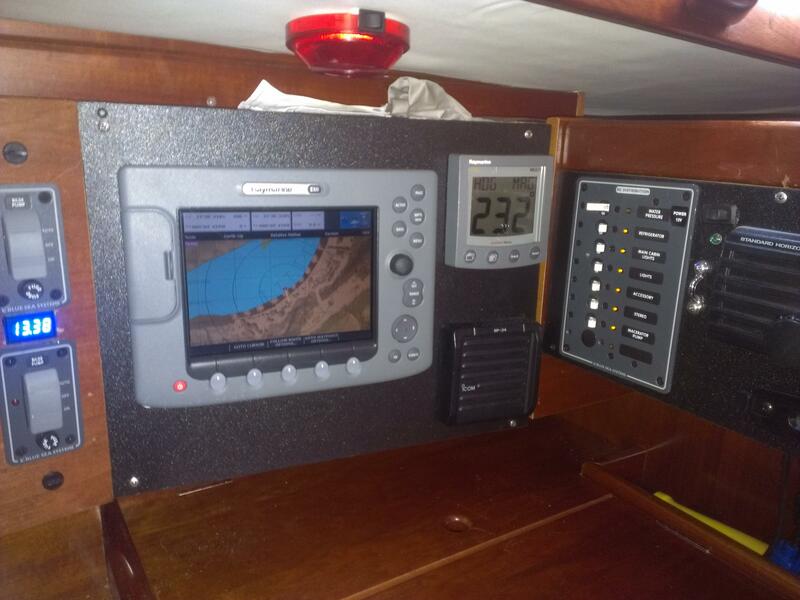 Davits, generator, inverter, SSB, and life raft. 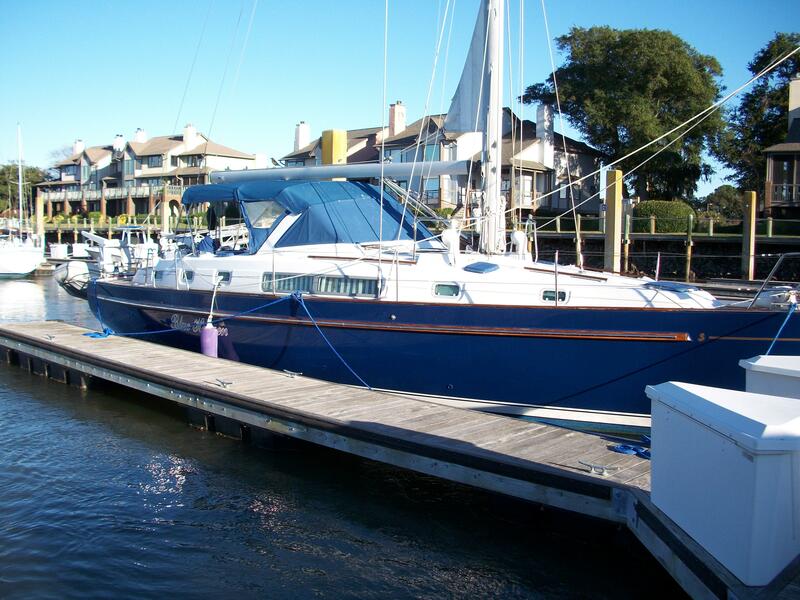 Please call or e-mail to schedule a showing. 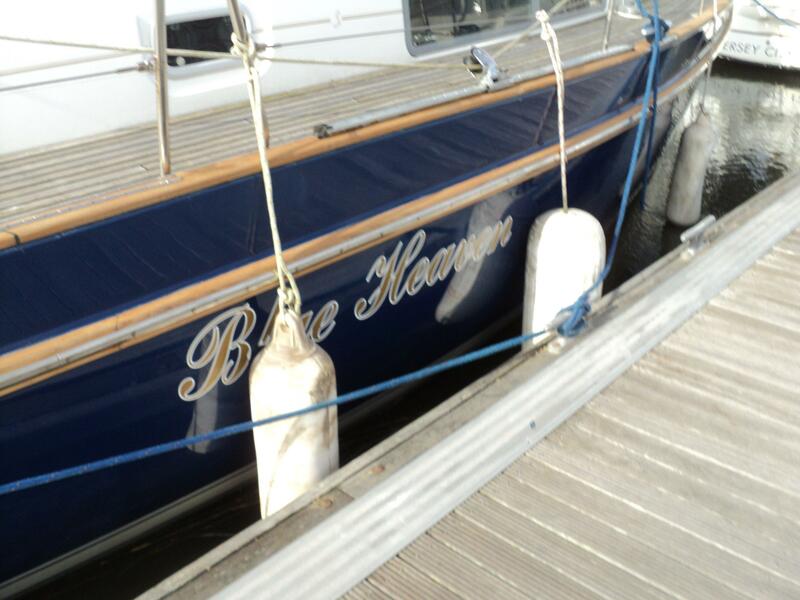 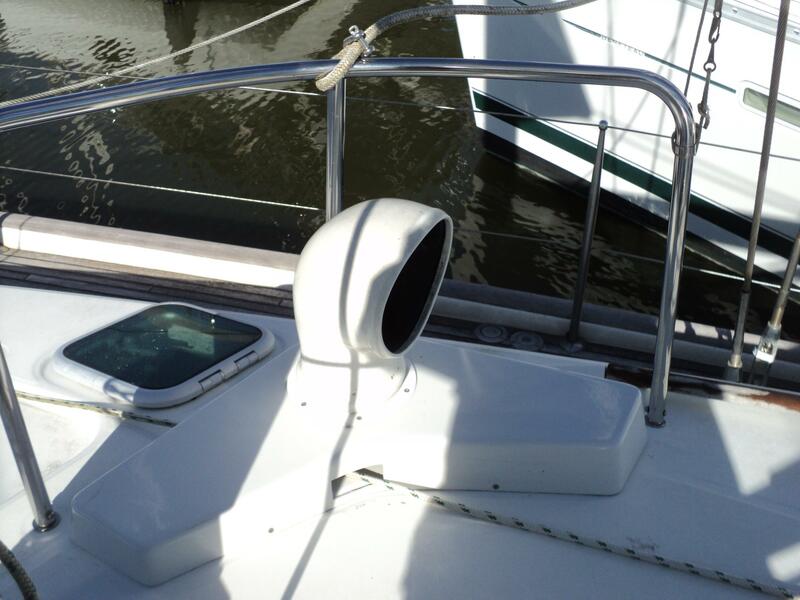 NOV / DEC, 2017 - BOAT HAULED AND ALL THRU HULLS INSPECTED / NEW BOTTOM PAINT. 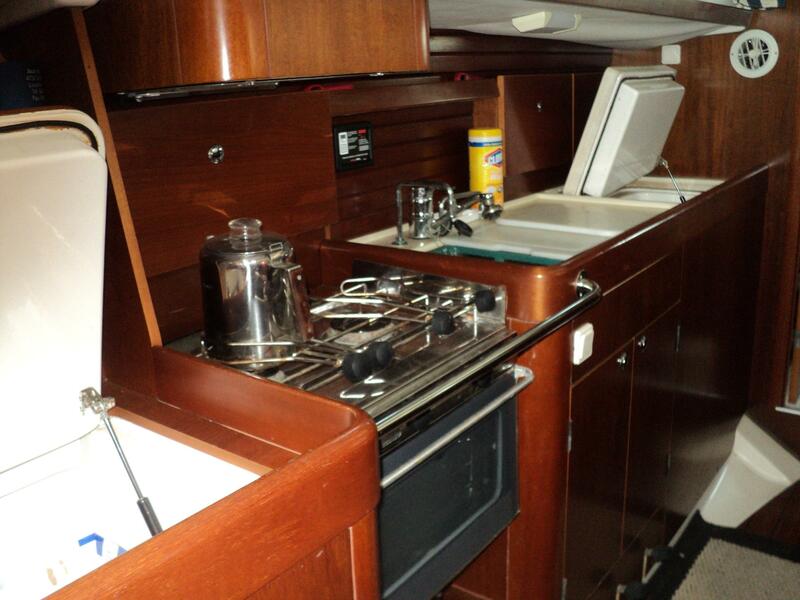 The galley offers generous counter space, good storage and functions as the hall way to the aft stateroom. 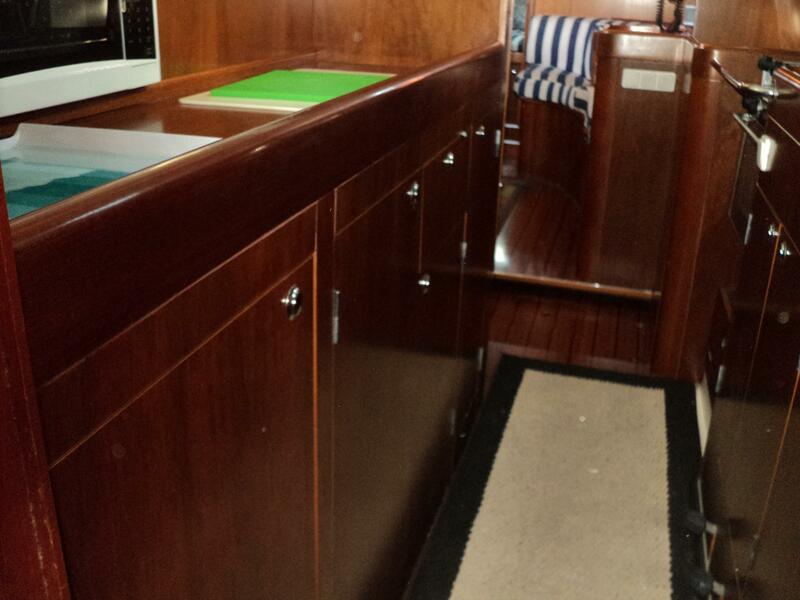 A full set of storage cabinets and drawers are on the inboard side of the Galley. 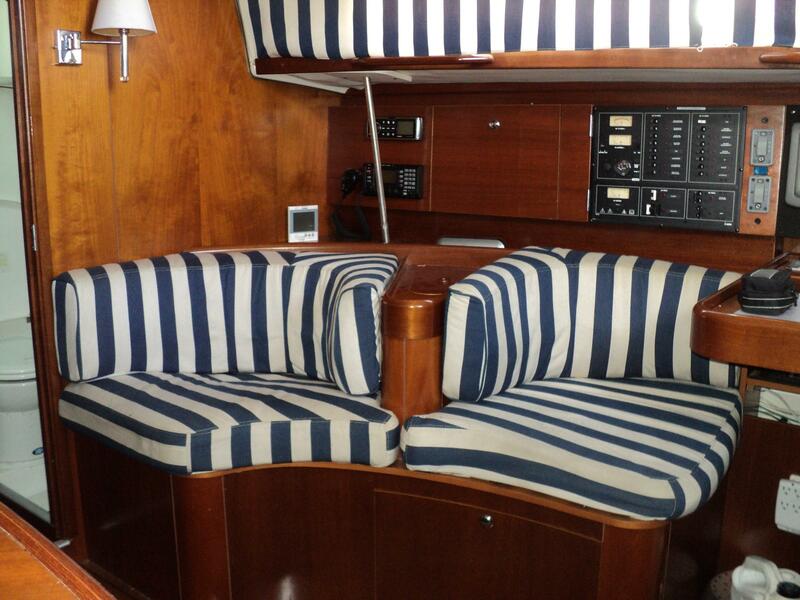 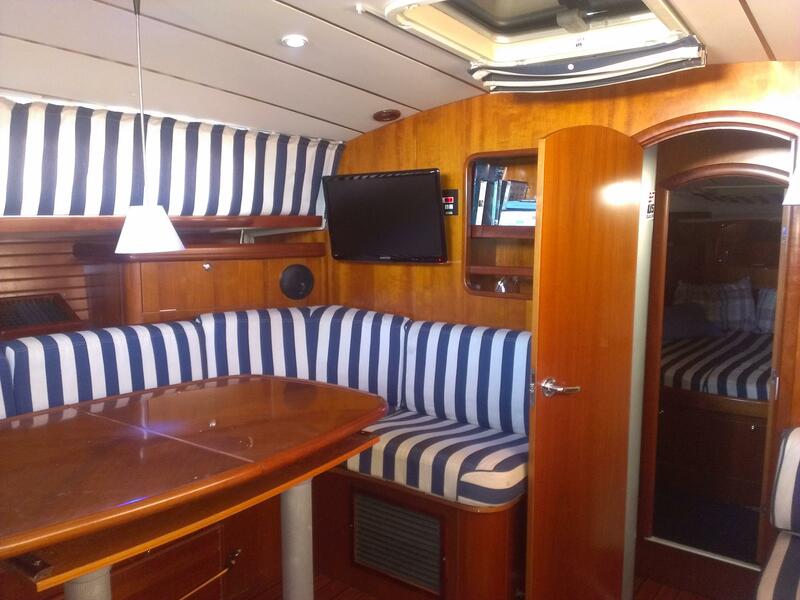 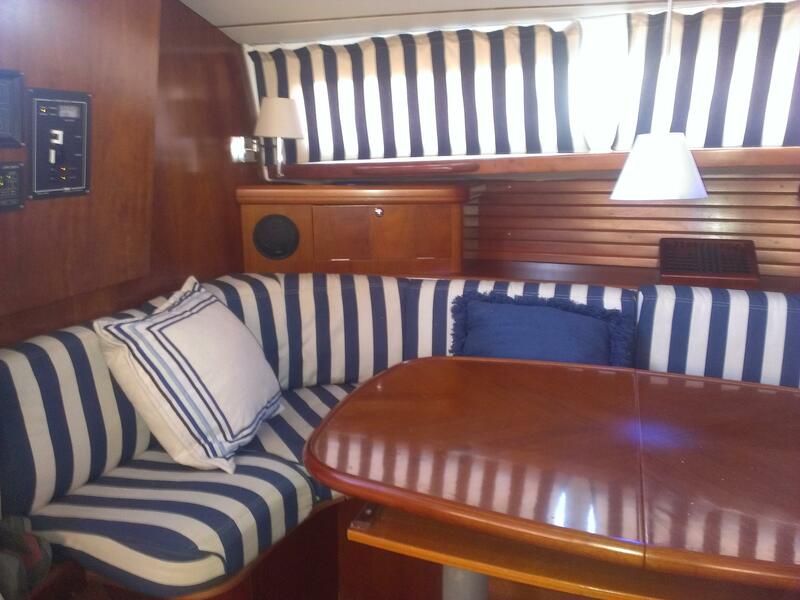 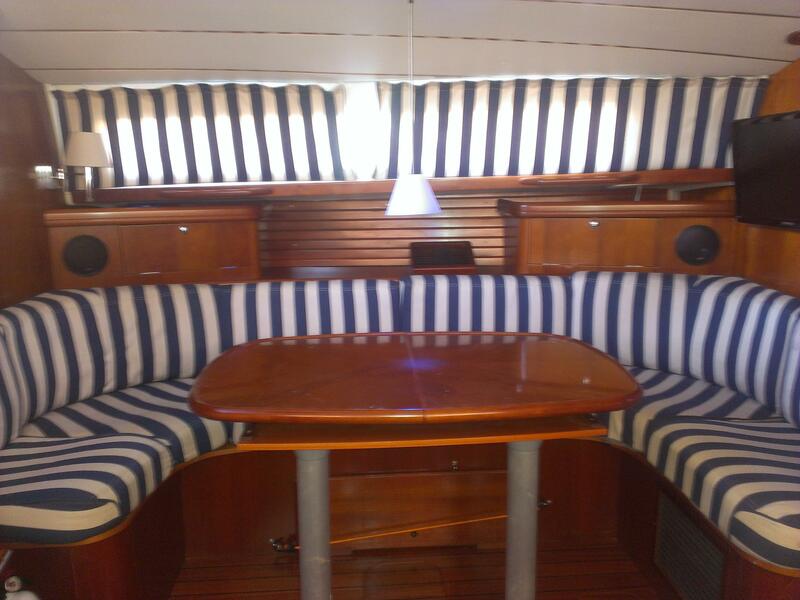 The main saloon has nice spacing with a wrap around dining table and two comfy chairs on the starboard side. 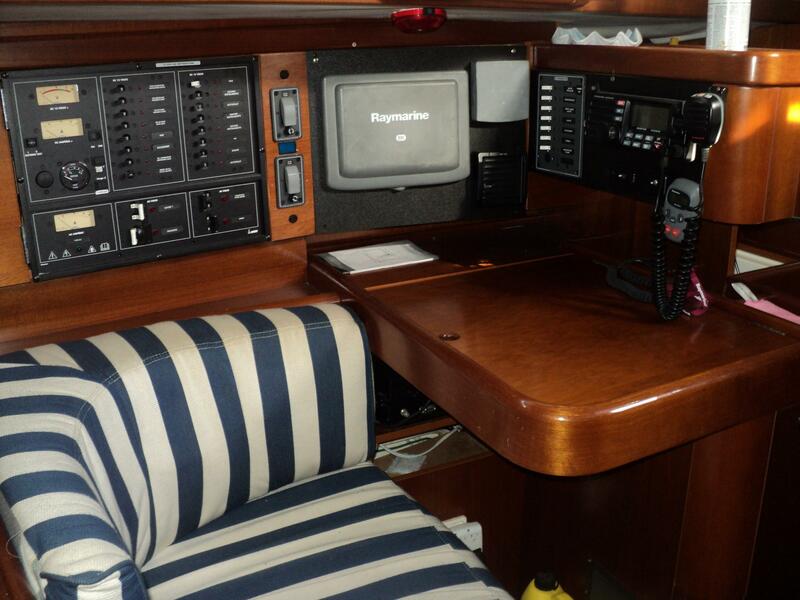 The Navigation station is to stbd just in front of the Galley.
. 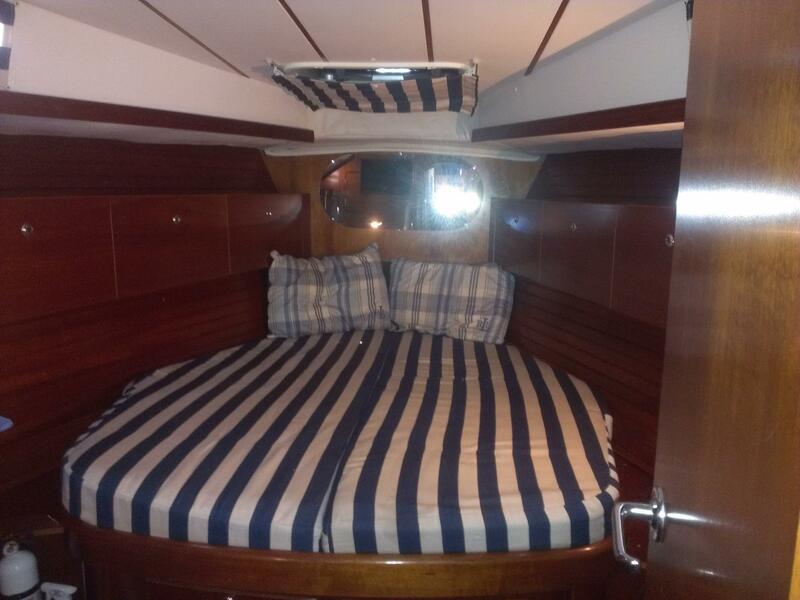 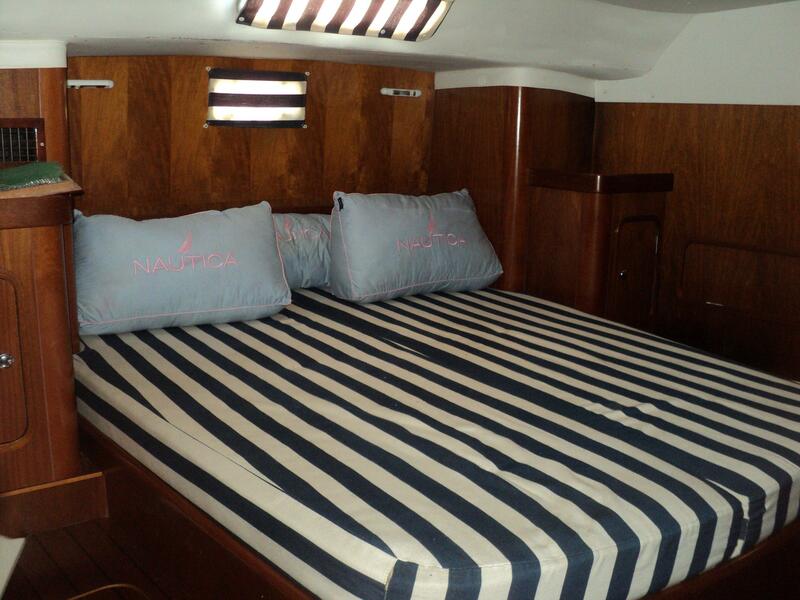 The aft stateroom is very large with a centerline queen berth that can be walked around on both sides. 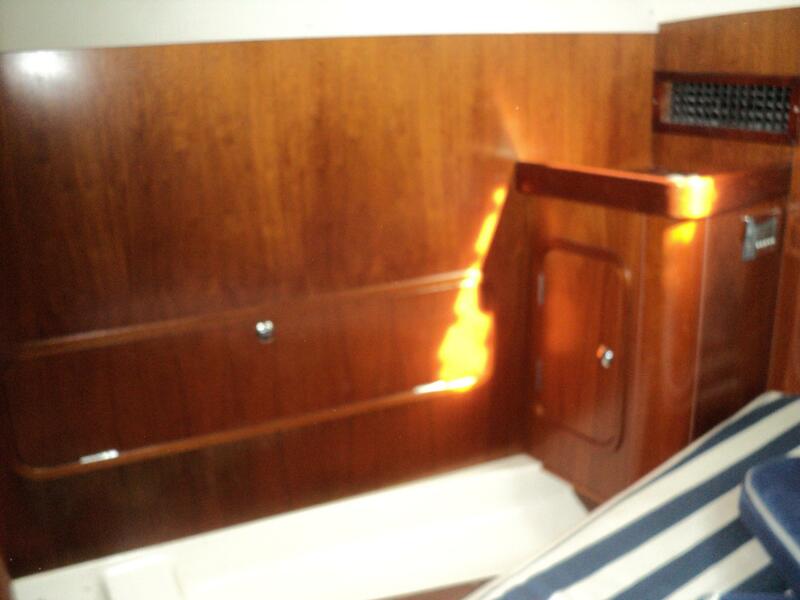 Lots of light and ventilation are provided by portlights and hatches. 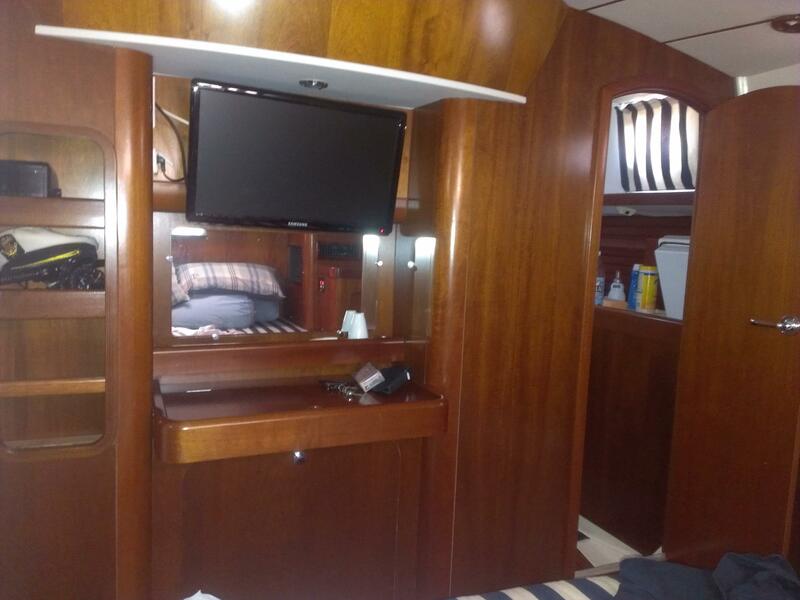 Enjoy a movie on the flat screen TV. 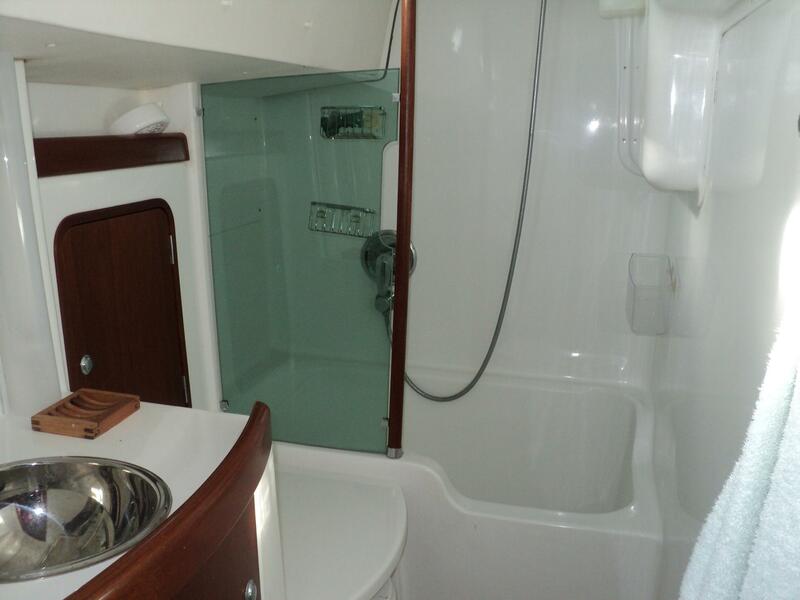 The Insuite head and shower is very large and on the port side mid-ship. 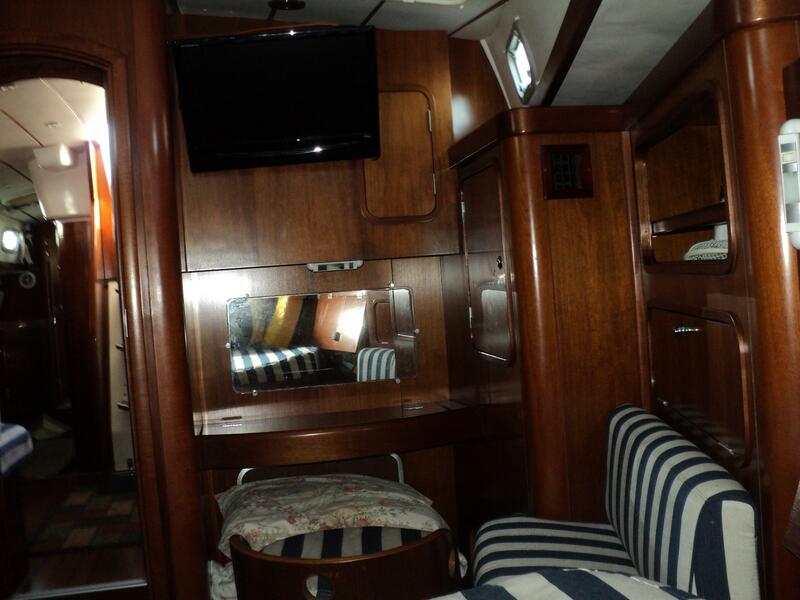 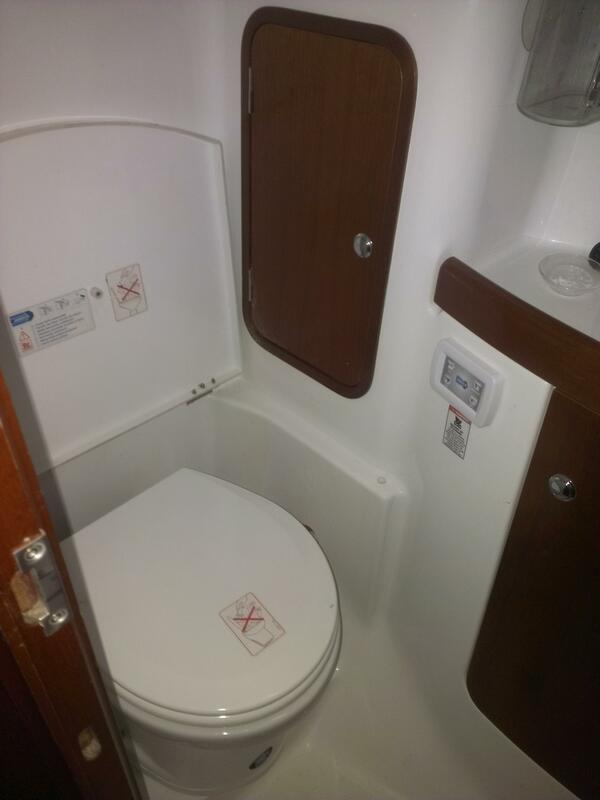 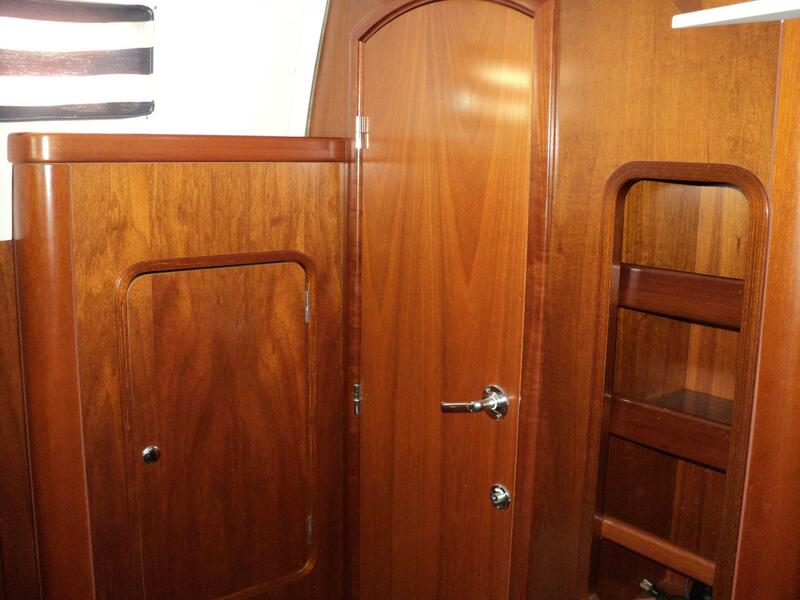 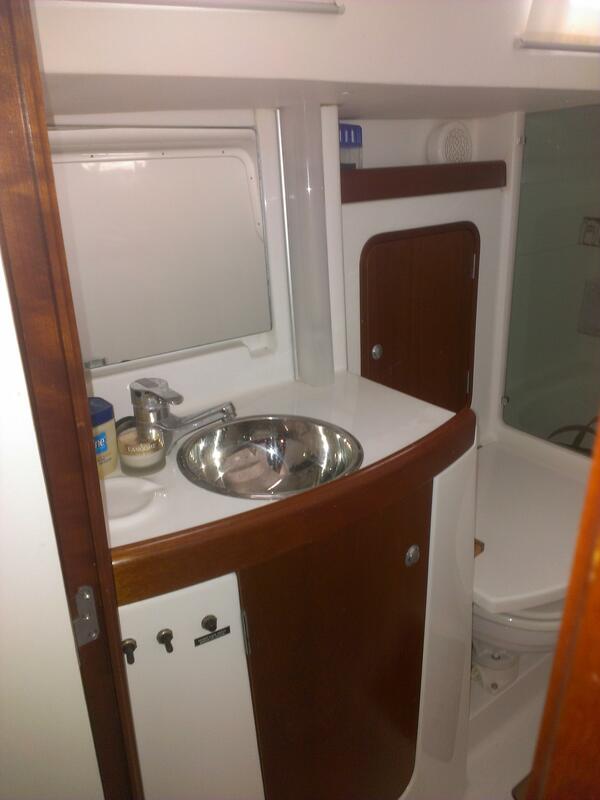 A large v-berth cabin is forward with a vanity and lots of storage. 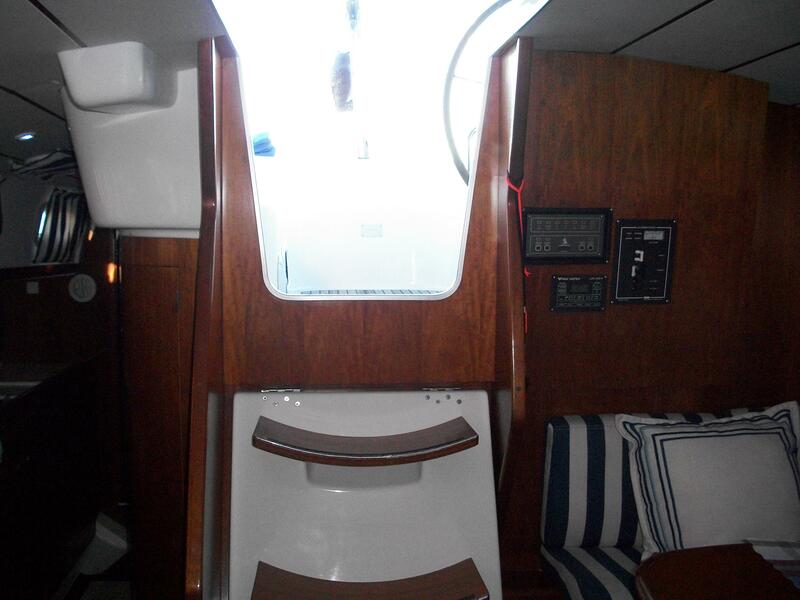 The forward head is to the starboard side with easy access to the salon and forward cabin. 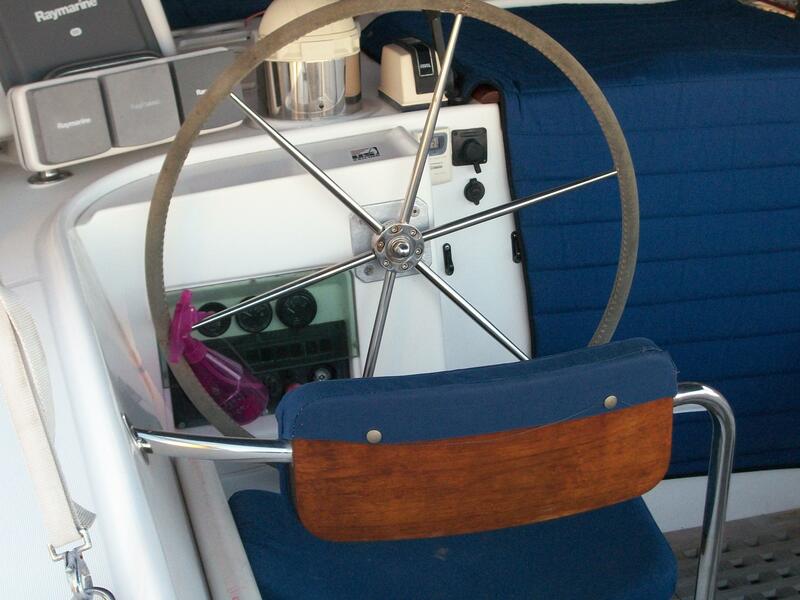 The cockpit has room for 6 plus the Captain and is protected by the hard dodger and full size bimini. 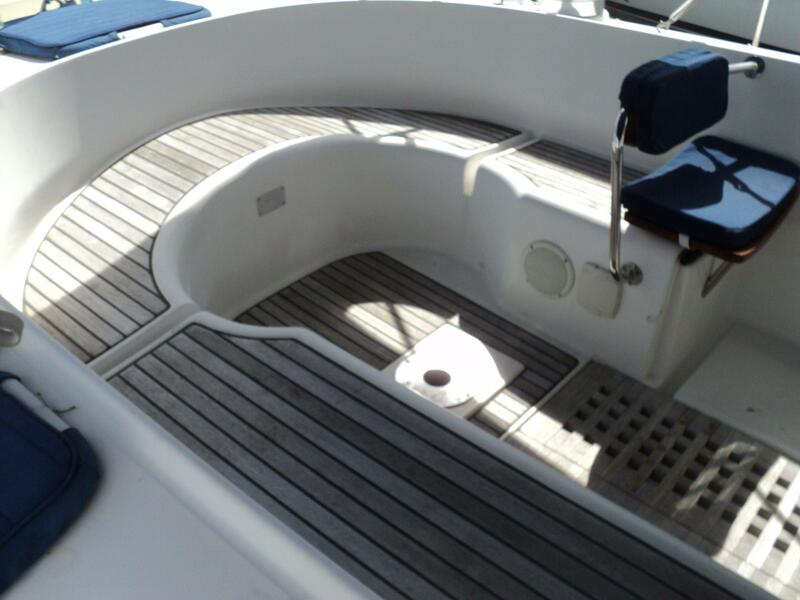 Outside the cockpit the aft deck is large with covered steps down to a folding swim platform. 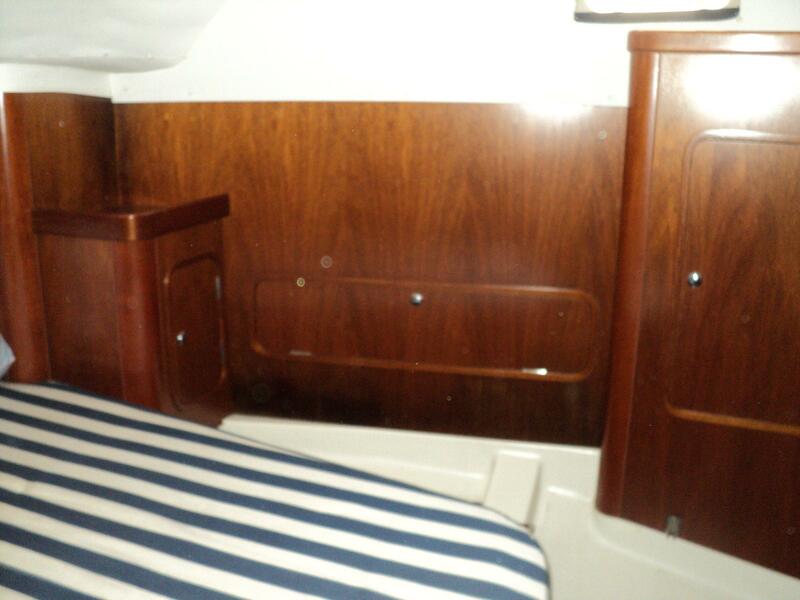 Also aft are to large below deck storage lockers. 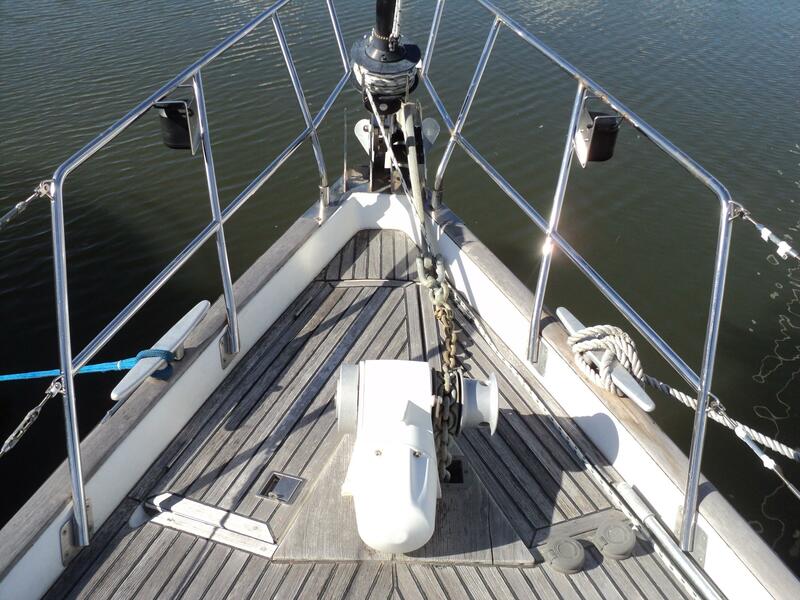 The walkways forward are wide and east to navigate. 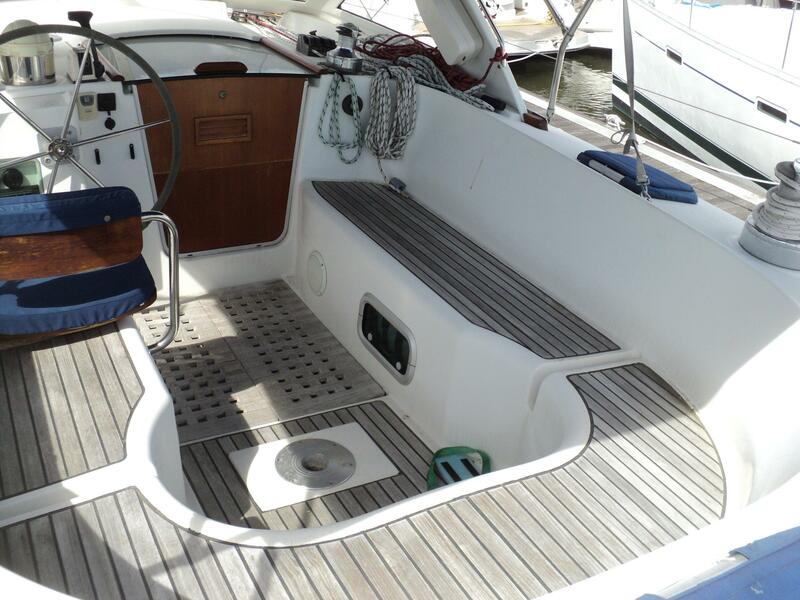 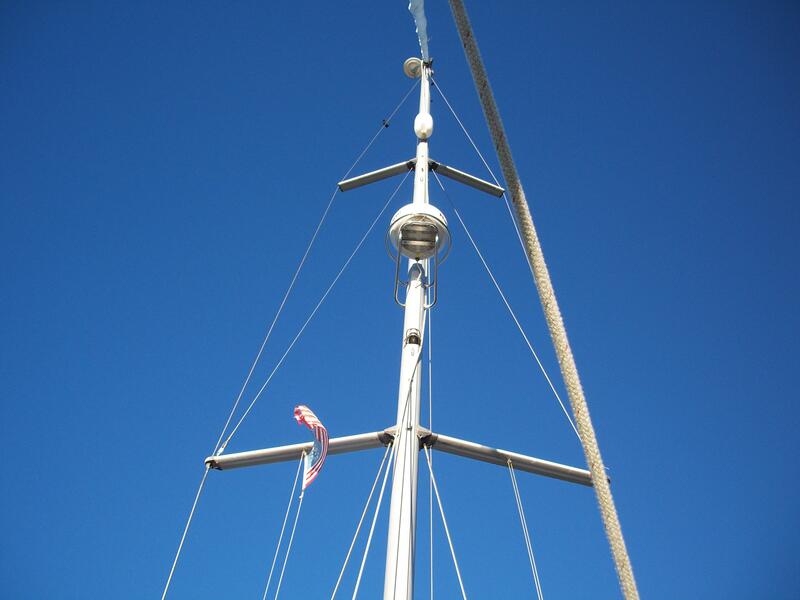 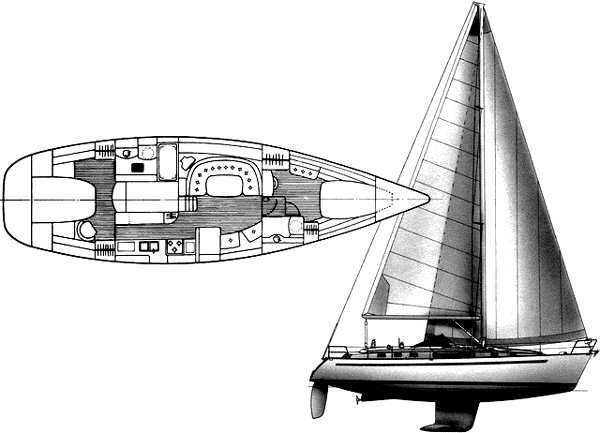 The foredeck has plenty of room for the cutter rigged sails, anchor windlass and line locker as well as the anchor pulpit.